TAIPEI, Taiwan, November 15th, 2018 –The leading global motherboard manufacturer, ASRock, is continuing its rapid expansion into the graphics card market with the latest high-end addition to the Phantom Gaming series – the Phantom Gaming X Radeon RX590 8G OC. The Phantom Gaming X Radeon RX590 8G OC uses all the power of AMD's latest Radeon RX 590 GPU with FinFET 12 process technology and 8GB of 256-bit GDDR5 memory to provide great gaming performance, plus solid reliability. The card provides two DisplayPort 1.4 connectors, two HDMI 2.0b outputs, and a Dual-link DVI-D connector, supporting up to 5 monitors. Of course, ASRock has also applied its cool Phantom Gaming visual styling throughout this graphics card; unifying the design with the ASRock Z390 Phantom Gaming motherboards to provide a great visual experience for gamers. "ASRock is very proud to introduce the Phantom Gaming X Radeon RX590 8G OC graphics card." said Mr. Chris Lee, ASRock's Global Marketing Associate Vice President. "It is undoubtedly designed and built for gamers, and we strongly believe that it can provide an outstanding gaming experience." As an OC Certified Edition graphics card, it has a 1560MHz GPU clock, which is higher than AMD's reference 1545MHz GPU clock, to provide a great gaming performance. ASRock also applies the Phantom Gaming visual elements everywhere on the card, to provide unified styling with ASRock's Z390 Phantom Gaming motherboards – this delivers a great user experience for gamers. The Phantom Gaming X Radeon RX590 8G OC graphics card is also equipped with several unique features: 3-Phase Motor Fan provides a 23% higher maximum airflow for better thermal efficiency, and the Double Ball Bearings improve lifespan by 30% to 40% compared to the traditional fan design. The XXL Aluminum Alloy Heatsink & Heatpipe Design provides enhanced thermal transfer. The Stylish Metal Backplate makes your graphics card fancy, solid, and cool. 0dB Silent Cooling technology makes fan stop completely under light workloads for no noise. Phantom Gaming Tweak gives users instant performance tweaking and smart fan speed control to combine ease-of-use with high performance and flexibility for power users. 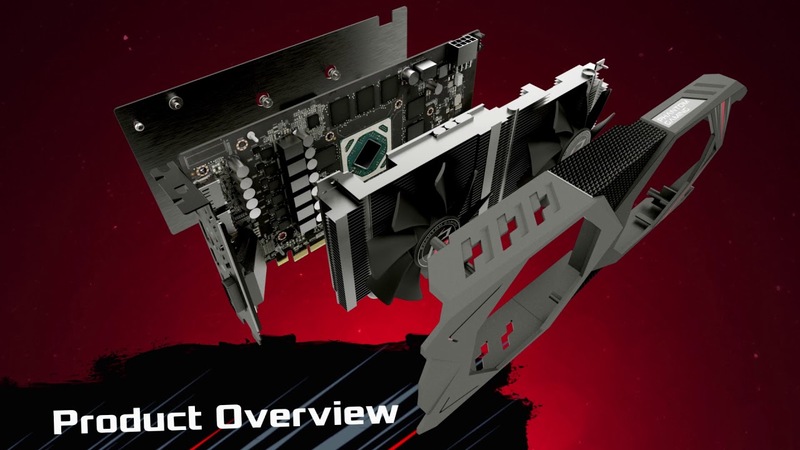 The Phantom Gaming X Radeon RX590 8G OC graphics card offers gamers a full range of the specifications and features they need: superior performance, attractive visual impact, and solid, reliable construction, plus the same visual design and unified outlook as the entire ASRock Phantom Gaming series of products. This is undoubtedly a high-performance graphics card that is forged for gamers. *Specifications may vary without notice.